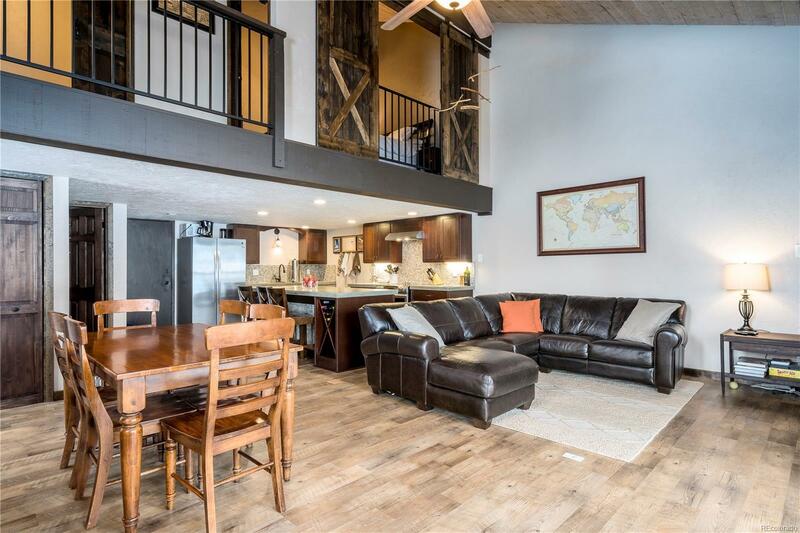 This is the best priced 3 bedroom condo in the Steamboat market today! This two-story corner unit located on the upper level of the Fish Creek Falls Condominiums offers a must-see upgrade package, open floor plan, vaulted ceilings & tons of natural light. The sophisticated rustic finishes include wood laminate flooring, barn door features, classic new railings, concrete counters, stainless appliances, new baths, new washer / dryer, and stone front wood burning fireplace. A covered balcony provides an ideal space for a barbecue and the community is dog friendly. With affordable HOA fees this purchase is great for the first time Buyer, or an in-town ski condo. Great location conveniently located on the city bus route & in the Steamboat School district.